The Buffalo Sabres reached one milestone number on Thursday night, and didn’t hit another one. Both pieces of news were more than welcome. The Sabres won the 1,000th home game in franchise history with a 4-3 victory before an announced crowd of 16,872 in the KeyBank Center. Technically, that’s 999 wins in Buffalo, and one in Helsinki, Finland, when the Sabres were designated as the home team. Much more importantly, they avoided losing their fifth straight game in a five-game homestand. In a season filled with gloom, that number would have been really depressing. 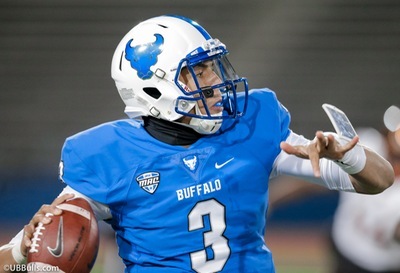 Buffalo has had homestands of five games or more 19 times in its history. It had never gone winless in those runs, The Sabres had gone 1-4 (not counting overtime points) a couple of times over the years, so this stretch equaled that mark in terms of record. But 1-4 sure felt better than 0-5 when Thursday’s game was over. 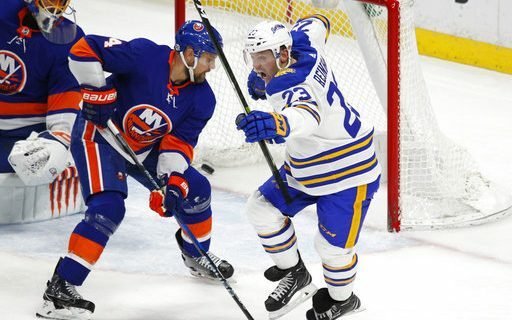 “It was a pretty ugly one, but we had to find a way to win,” said Sam Reinhart, who scored the game-winning goal with 4:14 left in a game that saw his team blow a 3-0 lead. You might not see a first period quite like the one the Sabres and Islanders played for some time. New York was the dominant team for most of the first period, spending most of that time in the Buffalo zone … and had absolutely nothing to show for it. Meanwhile, Jack Eichel got Buffalo on the scoreboard first, and Evan Rodriguez followed with a tap-in on a long-distance shot by Marco Scandella. With only a couple of minutes left in the first period, Buffalo’s Robin Lehner had stopped 10 of 10 shots for a save percentage of 1.000. Counterpart Jaroslav Halak of New York had stopped zero of two shots for a save percentage of .000. When does that ever happen? Early in the second period, Ryan O’Reilly got a piece of a hard shot by Rasmus Ristolainen from the blue line, and the Sabres, and it was a 3-0 game. Those in the building started to think of a chances of a one-sided win at home by a team that hasn’t won by more than two goals in the KeyBank Center this season. But … not so fast. Sure enough, the Islanders finally got some rewards for their good work. Ross Johnston got New York within one, and Anders Lee capitalized on an Eichel penalty to tie things with 5:27 left. Certainly there were those who were wondering if the Sabres would end their stay at home with a perfectly poor record. But Reinhart, Rodrigues and Eichel had other ideas. Reinhart tapped in a rebound from close range to complete a three-point night. He now has points in seven of his last 10 games, taking good strides after a slow start. No one was complaining about the win under the circumstances. Still, coach Phil Housley wanted to throw a little cold water on the situation.